Rent starts at 85,000 yen. The price of rent may differ depending on the room so please contact us for more details. Enrollment in home insurance and guarantor company is mandatory. If you are intending to stay in the room for longer than a period of 2 years, you will need to pay a contact renewal fee worth one month’s rent. It is a 3 minute walk from the closest station, the Mukohara on the Toden Arakawa Line. It only takes 8-minutes to Otsuka Station on the JR-Yamanote Line so you can easily travel to various different areas throughout the city! 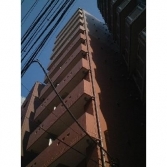 Ikebukuro can be reached by train in 5 minutes and theshopping area Sunshine City is very close. In the neighborhood are several convenience stores, bento-stores, restaurants and laundry services. It’s a very convenience area for living. Good access to the Teikyo Heisei University, Toho Junior College of Music and the Tokyo College of Music.